The Scottish Premiere of the Lincoln Center's production of South Pacific at the Theatre Royal this week brought a little sun, sand and warmth to a dreicht winter's day. 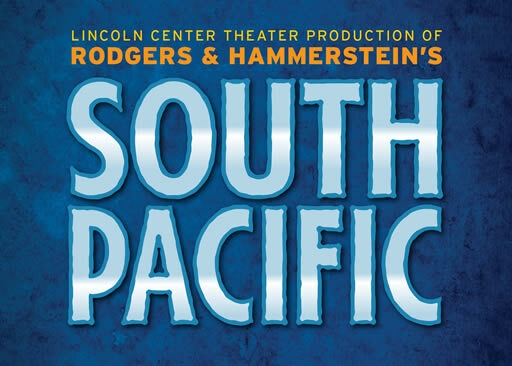 Set on a tropical island during World War II, South Pacific focuses on the lives of two couples who are both challenged by prejudice and the harsh realities of the war. Telling the story of Americans stationed on small islands in the Pacific, it elegantly captures the unfamiliarity of their surroundings, how alien their experiences were and the huge culture shock it was to those who lived there during the war. 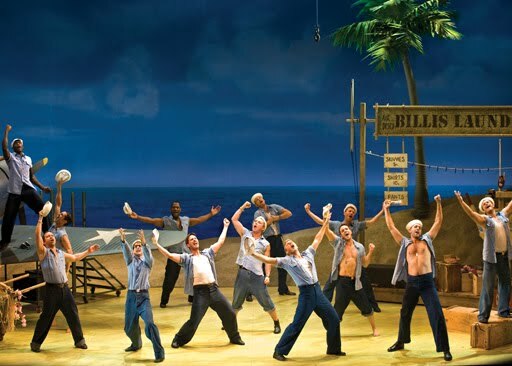 There are also elements of the story which will undoubtedly be as eyebrow-raising to modern audiences as they were to audiences when the musical first opened on Broadway in 1949. Enisign Ellie Forbrush is played by the captivating Samantha Womack. She creates such a likeable character that, even though Nellie’s Southern origins are evident throughout, it’s still surprising when her racial prejudices are revealed. Womack cuts a striking figure in the swimsuit costumes and her graceful portrayal of Nellie brings real heart to the show. As Emile de Becque, Jason Howard's wonderfully rich voice puts the soul into Some Enchanted Evening. The role of Bloody Mary requires great skill and Loretta Ables Sayre brings it in spades. Her characterisation creates a complicated character that only wants the best for her daughter as well as providing much light relief as the entrepreneurial native selling grass skirts and shrunken heads. Alex Ferns brings wonderful comic relief as the inventive Luther Billis and is particularly fetching in a grass skirt during Honey Bun. A far cry from his days in EastEnders! One confession I have is that initially in Act One I expected romance to blossom between Liuetenant Cable, played by the dashing Dan Koek, and Nellie. I was taken aback by the introduction of Liat, although that was largely because of the somewhat seedy beginnings of their relationship. As I am more familiar with Miss Saigon, I could see many similarities between Liat and Cable and the characters of Chris and Kim. Koek has a beautiful voice and I'm sure many audience members will have headed straight to the merchandise kiosk to purchase his album. Although I was unfamiliar with the plot, it was a pleasant surprise to find songs I have known all my life like Some Enchanted Evening, I’m Gonna Wash That Man Right Outta My Hair, Happy Talk and There is Nothin’ Like a Dame are from this show and what a production it is. Where South Pacific comes into its own are the ensemble pieces like There is Nothin' Like a Dame, the cast bursting with energy, filling the stage with dance and the auditorium with their soaring voices. Featuring a cast and live orchestra of 50, it’s clear to see why Bartlett Sher’s production played to sold-out audiences on Broadway for two years and why this national tour is doing the same in Glasgow this week. Here the island call and visit while you can.